Versailles, 1667. 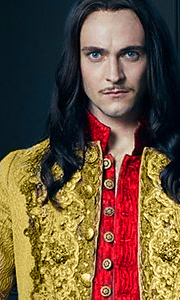 Haunted by the trauma of civil war as the nobles of his court begin to rebel against the monarchy, Louis XIV (George Blagden) in his 28th year in a Machiavellian political move decides to make the nobility submit by imposing a definite move of the court from Paris to Versailles, his father’s former hunting lodge. Trapped by their king’s “invitation”, the nobles of Paris gradually come to see the castle as a gilded pris..
Own Versailles Series 2 DVD from Deff, DVD, Blu-Ray & 4K Video Specialists - Free UK Delivery..
Own Versailles Series 1 to 3 DVD from Deff, DVD, Blu-Ray & 4K Video Specialists - Free UK Delivery..
Own Versailles Series 3 DVD from Deff, DVD, Blu-Ray & 4K Video Specialists - Free UK Delivery..